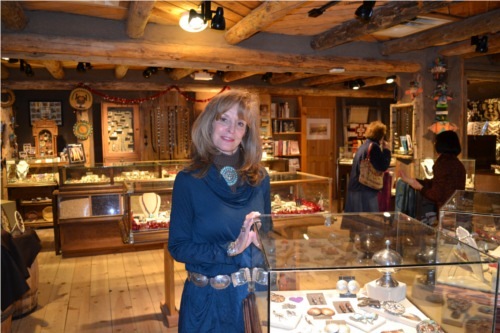 Recently, I had the pleasure of spending some quality time with the knowledgeable staff at The Case Trading Post Museum Store, located within the oldest independent, non-profit museum in New Mexico, The Wheelwright Museum of the American Indian.There is an interesting history behind the creation of the museum, and its collection. 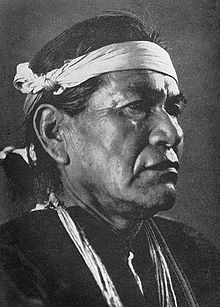 In 1921, Mary Cabot Wheelwright, a Boston native, met Hastiin Klah, a well respected Navajo religious leader, “singer,” “medicine man.” They were introduced by Arthur and Frances Newcomb who operated a Trading Post on the Navajo Reservation near Klah’s home. 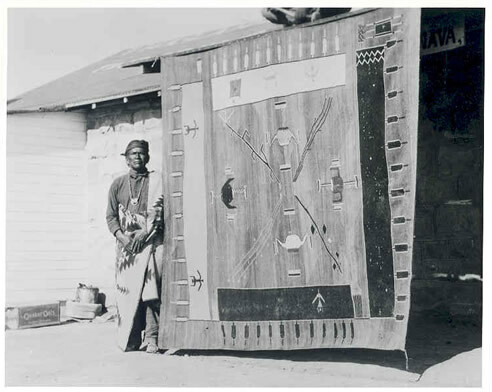 Klah believed the Navajo (Diné ) People’s culture and religious traditions were under threat. The 1863 – 68 incarceration of more than 10,000 Navajo people by the U.S Military at Fort Sumner’s Bosque Redondo, the loss of over 2,000 people, including many tribal elders, coupled with the influx of white settlers into the west, had had a devastating effect. And the U.S Government’s attempts to assimilate Navajo children into white Christian schools and society also jeopardized the chances of preserving Diné spirituality and traditions for future generations. After meeting Klah, Mary was permitted to witness a Navajo ceremonial. And Mary became passionate about helping Klah preserve the traditions in as many media as possible. Here is Klah with one of his own representational weavings. 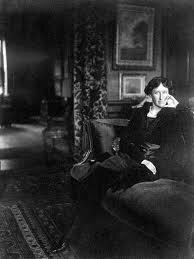 They began creating and collecting the renditions of ceremonial art and artifacts in tapestries, sand paintings, and many hundreds of recordings of songs, chants and poems that Klah knew by heart. Although Klah met opposition by other Navajo elders and religious leaders, he was determined to continue. During the 1930s Mary was encouraged by her friend David Rockefeller Sr., to found a museum to house the collection. 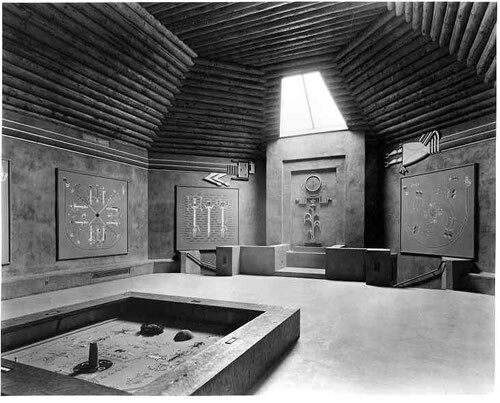 Then she too met with opposition, from the Laboratory of Anthropology in Santa Fe, who had initially been pleased by her offer to build a “Navajo House of Prayer.” Wheelwright wanted the building to be in the shape of a “Hogan” to honor the spirit and tradition of the Navajo people and the objects it was to house. But the octagonal, looming shape contradicted the revival of the low, flat-roof pueblo design that was trending in the 1930s. When Mary had given up hope of ever fulfilling the dream, her friend Amelia Elizabeth White donated 8 acres on the foothills of the Sangre de Cristos, within the area that is now known as “Museum Hill.” And without the need for further approval from the Laboratory of Anthropology, in 1937, the original Hogan design became a reality. Sadly, Klah died just a few months before its completion, but he did ceremonially bless the land where the museum now stands. First known as the House of Navajo Religion Museum, it was renamed The Wheelwright Museum of the American Indian in 1976 after the trustees decided to return to the Diné the sacred ceremonial items that inspired its creation. 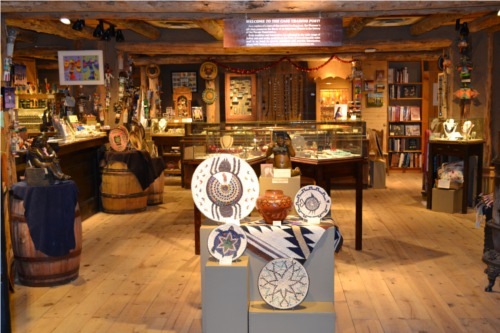 Exhibits now include the amazing historic and contemporary art, weavings, pottery, jewelry, apparel, and myriad works of well-known and up-and-coming Native American artists from all tribes. Klah’s and Wheelwright’s chance encounter, and subsequent vision and determination, led to the creation of an extensive private collection that has always been open to the public for free. A visit to the museum allows everyone to appreciate the dedication, devotion and vision of these exceptional founders. Image:courtesy of Wheelwright Museum of the American Indian. It is easy and very affordable to support the good work of this museum by becoming a member. For as little as only $40 a year, members receive discounts on purchases and many other benefits. To join please call (505) 982-4636, or visit the store (click here for address and map). The Case Trading Post is an important part of the museum. It sits in the lower level and has its own reputation as one of the most authentic, reputable trading posts in the U.S. 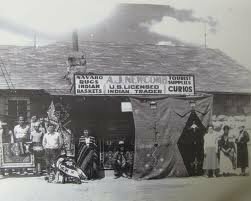 Complete with squeaking wooden floors and a rustic beamed ceiling, it was designed to resemble the early Navajo Trading Posts that were located at many of the Atchison, Topeka and Santa Fe railroad stations from the late 1800s. They exhibit and sell a wide array of collectibles dating from as early as the “Harvey Era” (1878-1900s) all the way to the present day. 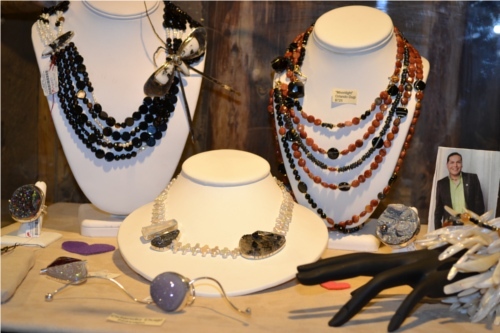 They also show exciting works of highly popular contemporary stars, such as award winning Navajo designer Orlando Dugi’s exquisite high fashion jewelry and accessories. 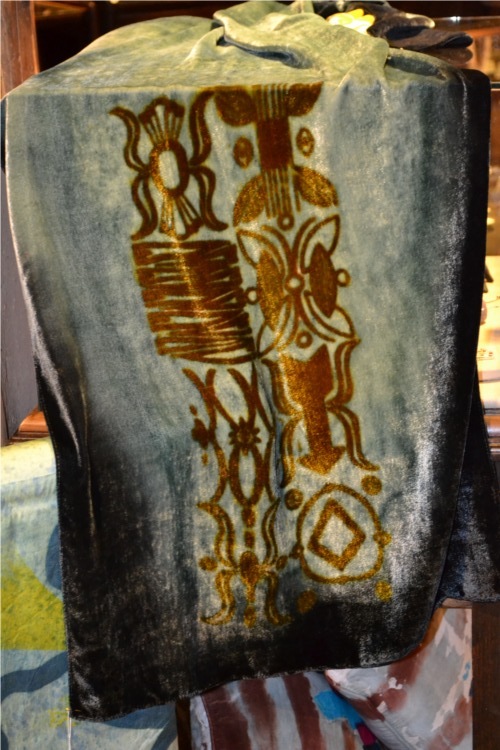 The unique silk and velvet creations by fashion designer Patricia Michaels of Taos Pueblo are also available. Patricia is currently a contestant on the Heidi Klum show, “Project Runway” on Lifetime. 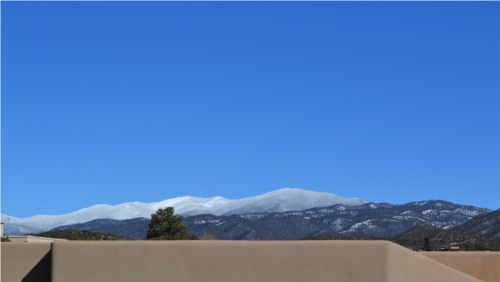 The Wheelwright Museum and Case Trading Post are located at Museum Hill, just about 2 miles from Santa Fe’s historic Plaza. The link shows you a map. This is a premium location to capture breathtaking 360 degree views. Thanks for reading this article. It was a biggie. I hope you enjoyed it. Please don’t hesitate to share your comments. This entry was posted in All Posts, Museums, Shopping by Maria Johnson. Bookmark the permalink. I love history of The Old West and the Native Americans. It must come from watching the old cowboy movies as a kid back home. Great article, Maria. Thanks Chris. I think that’s partly the same reason I ended up here. There were some good things about only having 3 TV channels in the Merry Ole’ England, hey? I enjoyed your article. However I that it’s important that most of the items donated to the museum were from my Grandmother, Franc Newcomb Johnson’s collection. My Grandparents felt it was important to donate their collection accumulated over 20+ years, back to the Navajo’s to preserve their culture. My Grandmother witnessed over 600 ceremonies.